What is the Right Glassware for White Wine? We have already delved into the world of glassware by discussing the right glasses for red wine. Having the right glass accentuates the wine’s full flavour potential, which allows you to get the most out of your wine. 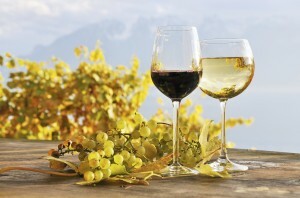 The glassware used for white wines differs from the glasses used for red wine. 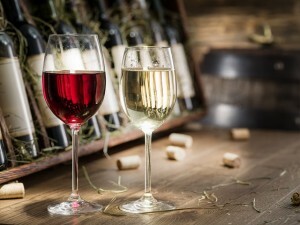 After all, red and white wines are not the same, possessing different features and bouquets that are best enjoyed with the appropriate glassware. 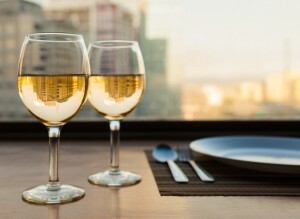 White wine glasses vary in regard to size and shape, although they tend to have a U-shaped bowl which is slimmer than the one found on red wine glasses. This is due to the fact that white wine doesn’t need to be aerated as much as red wine. It’s important to not overfill the glass, so two thirds full should be the maximum pouring amount. This allows the aromas to be released while ensuring that a cooler temperature is maintained. There are mainly two types of glasses for white wine, though there isn’t much difference between them. Younger wines are usually more acidic and dry, so they benefit from glasses with a bigger opening, as the wine hits the tip and sides of your tongue first and allows you to differentiate sweetness and crispness. 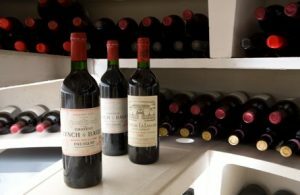 Older wines are typically not as crisp. They tend to be smoother in terms of texture, so they are often enjoyed in straighter, taller glasses. This type of glassware allows the wine to hit the back and sides of the tongue first. 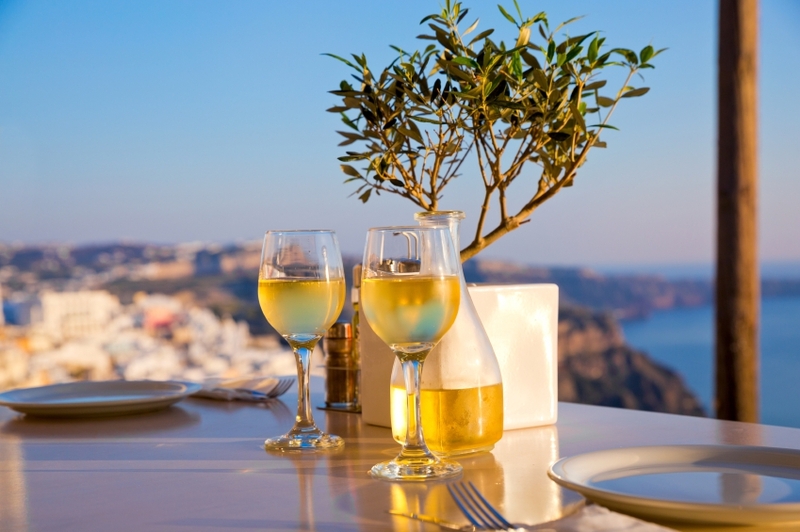 White wine glassware is easily recognisable by a long stem, which allows for an easier grip. It is essential that the bowl is not held when drinking, in order to minimise the amount of body heat transferred to the wine. Just like with red wine, white wine glasses should always have a stem for this reason. older white wines and even some vintage sparkling wines as well. Generally speaking, full-bodied wines tend to be served in larger glasses, as their wide mouth allows a great range of aromas to be released and helps you to appreciate the balance of fruity flavours even better. 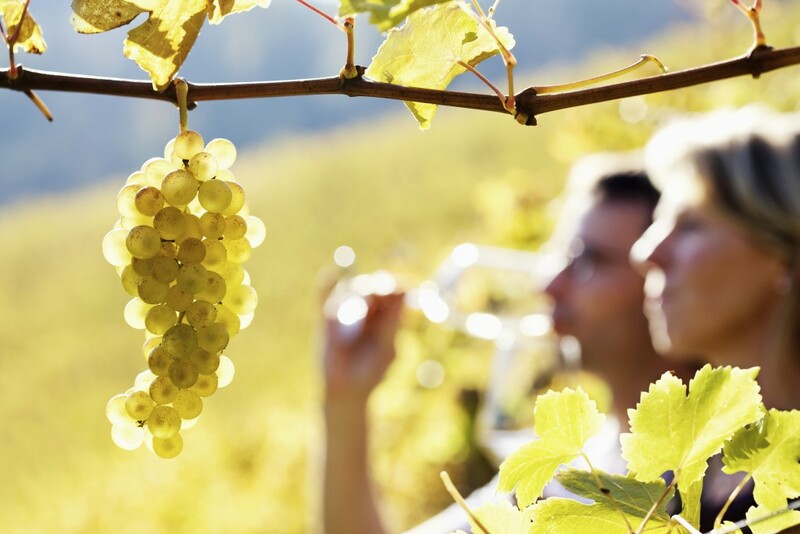 The Riesling grape offers complex, exuberant aromas that make it best served in glasses with smaller bowls. This is because smaller glasses will emphasise the wine’s bouquet and its floral tones will be best appreciated this way. Larger glasses can ‘lose’ the intricate, floral hints of the wine. Sauvignon Blanc and Pinot Grigio wines are also often served in these glasses. The general rule of thumb is that lighter white wines are served in glasses with smaller bowls, as their straight sides and narrower mouths allow for the appreciation of more delicate aromas, such as floral and citrus. Just as we have previously seen with red wine, choosing the right white wine is important to fully enjoy a bottle of your favourite libation. The perfect glassware can enhance your wine experience, and so can optimal storage conditions. 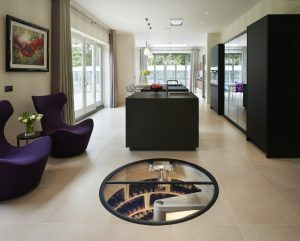 Having your own spiral cellar allows you to keep your white wine organised and displayed in the most stunning way, so get in touch with our team today to learn more about our innovative wine cellar design. 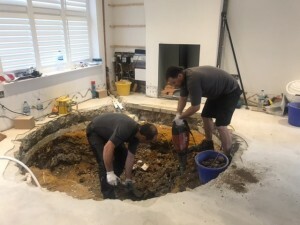 Alternatively, call us on or 0203 815 3329 or request a brochure.